"In Japan". Isn't that the worst phrase ever to see on a video game website? Not only is it an indicator that a possible western release is far away, but it doesn't even guarantee one in the first place. 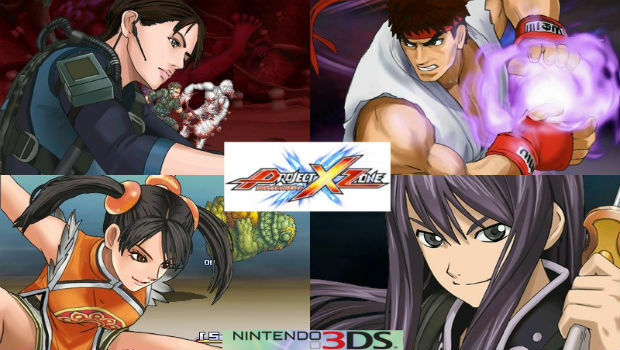 Anyways, all of you lucky Japanese residents will be able to enjoy Project X Zone, the cross collaborative 3DS strategy RPG from Namco Bandai, SEGA, and Capcom, on October 11th. This announcement comes compliments of Famitsu, who also reveals a hefty amount of never before seen characters, such as Imca (Valkyria Chronicles 3), Devilot (Cyberbots), Flynn Schifo (Tales of Vesperia), Rikiya Busujima (Zombie Revenge), Arthur (Ghosts N’ Goblins), Kogoro Tensai (Exclusive to the game), Mii Ouryuuji (Exclusive to the game). The full roster will feature over two hundred characters (! ), and that's not even including event cameos. Something tells me that this game is going to be a b*tch to localize.